Early on in To the Bone, Ellen and her sister are sitting talking quietly, an unidentified city spread out before them. Kelly is voicing her concern about Ellen’s condition when Ellen replies, “I’ve got it under control. Nothing bad’s gonna happen.” To which Kelly answers, “How many people do you think are down there? Like 2 million? I bet a bunch of them who are about to die just said the exact same thing.” It’s a poignant moment, and one that highlights the problem on both sides of the eating disorder divide: the sufferers think they’re in control of what they’re doing, while their loved ones wish it were true. And there’s no middle ground. It’s moments like these, where hope and despair collide and cancel each other out, that makes Noxon’s debut as a feature writer/director all the more affecting. 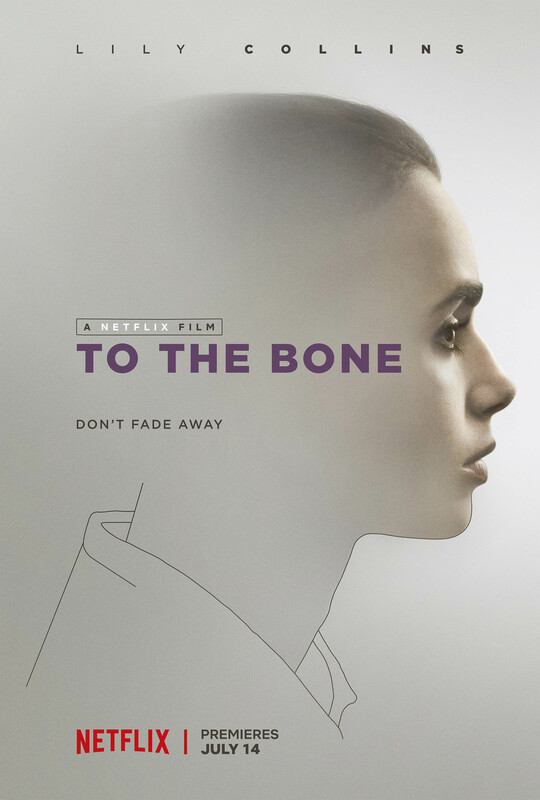 A movie that for the most part offers little in the way of concrete answers, To the Bone is instead a powerful and unflinching examination of both the physical effects of anorexia, and the psychological damage that accompanies it. 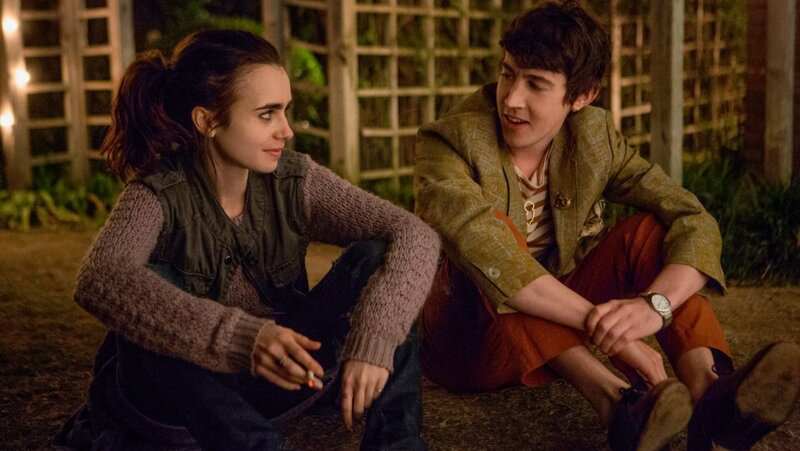 Based around Noxon’s own experiences, the movie steers clear of being yet another “disease of the week” TV-style outing, and instead focuses on what can be done to make someone with an eating disorder value their life again. Despite some odd moments of fractured humour, mainly expressed through Lucas’s flamboyant behaviour, this isn’t a movie designed to entertain or make the viewer feel good. Which is a good thing, as this would have trivialised the serious nature of the subject matter, and undermined the good work of all concerned. Collins gives an exemplary performance, expressing Ellen’s anger and sense of hopelessness at her situation, and doing so with a clarity and a precision that allows Ellen’s rough-hued antagonism to have a credible emotional and psychological footing. There’s good support from Taylor as Ellen’s mother, unable to deal with her daughter’s suffering because of her own problems, Preston as Ellen’s stepmother, a woman out of her depth but willing to make mistakes if it helps matters (though usually it doesn’t), and Liberato as the younger sister who misses the version of Ellen that she’s meant to be. If there’s one thorn in the narrative ointment, it’s related to Reeves’ character, a therapist whose benign manner and intuitive insights are jettisoned during a misjudged scene in which Beckham tells Ellen that the answer to her problems is to “grow a pair”. It’s a moment that sits uncomfortably within the rest of the material, but fortunately it’s a rare mis-step in a movie that is otherwise moving and empathetic. Rating: 8/10 – confidently handled by Noxon, and compellingly structured, To the Bone benefits from an excellent central performance from Collins, and the decision to be non-judgmental of its characters; a journey worth taking then, sincere and unapologetic in its examination of a difficult and important subject, and worthy without preaching or being condescending.